Amanda Beiler could never have imagined the course her life would take when she happened to meet Alejandro Diaz. After catching the eye of the Cuban superstar, she hesitantly decides to leave her small Amish community in order to save it from the relentless attention of the paparazzi. Away from her close-knit family and the familiar rituals of her faith for the first time, Amanda goes on tour with the famous singer, and as she begins to see the world under Alejandro’s care, she starts to appreciate life beyond the boundaries of home. Meanwhile, Alejandro is changing, too, and remembering what it feels like to be with someone who wants him despite—not because of—his celebrity. Amanda is shocked and more than a little disconcerted by the world she finds herself immersed in once she leaves her parent's farm with Alejandro. She hates the constant harassment of the paparazzi, the flirtatious nature of the women who are constantly persuing Alejandro despite her presence - she feels ... invisible. And yet, despite all of this she finds herself drawn to him. Alejandro wants to keep Amanda safe, and enable her to experience the world through his eyes. But to do that, she must fit in, not stand out. He struggles with his attraction to Amanda, despite the promise he made to her parents that she could return to them if she so wished. Can Amanda fit into Alejandro's world? And, once she see's what his life is really like, will she want to stay? 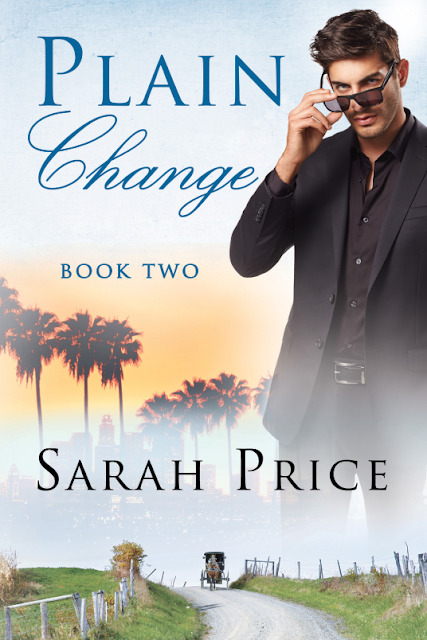 This is the second installment of the Plain Fame series by Sarah Price and is just as much an enjoyable read as the first book was.